Frieda Loves Bread: 20 minutes or less to Homemade Butter...and... Buttermilk! 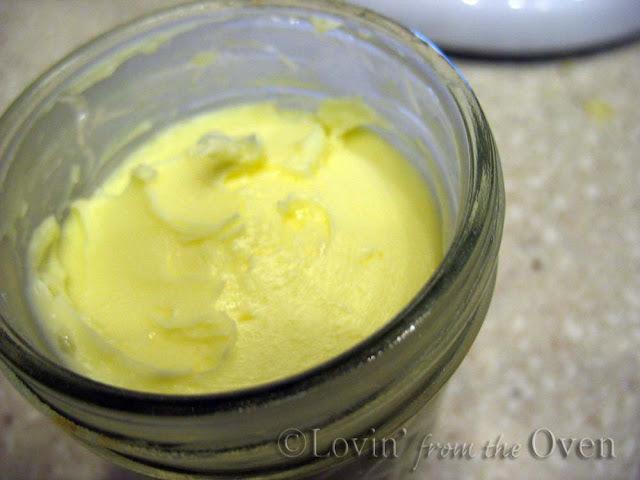 2 20 minutes or less to Homemade Butter...and... Buttermilk! Did you ever eat butter as a kid? You know what I mean. Just butter...nothing else. In first grade, I remember shaking a pint jar of cream and passing it on to the next student. 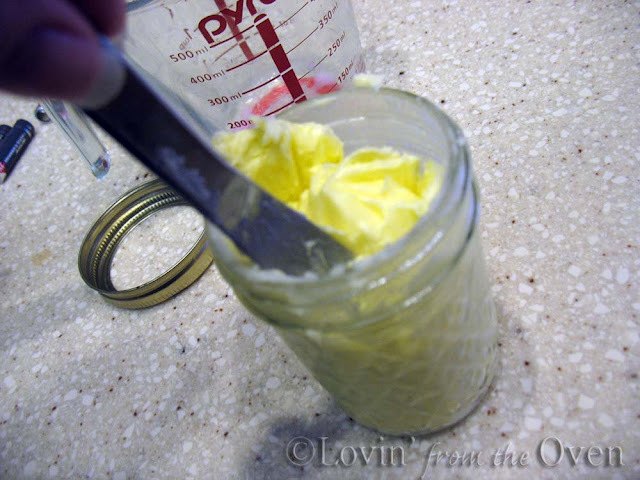 After all the students each had a turn shaking the jar, it magically turned into butter! Now making butter goes high tech with the help of my Kitchen Aid mixer. It does 80% of the work for you and gives you fresh butter in 20 minutes or less! I used 2 cups of cold, whipping cream. The recipes I have found call for HEAVY cream. I'm sorry, but my stores around here don't call it that; they call it "whipping" cream or "heavy whipping" cream. Don't use anything light. You can use your whisk or paddle attachment. Pour the cold cream into the bowl. Start your mixer on speed two. You don't want to create a splash! 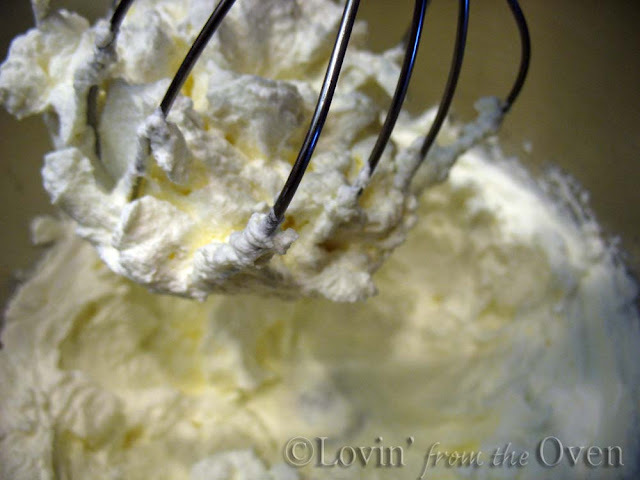 After a few minutes, the cream will begin to coat the whisk and form soft peaks. At this point, you can turn your speed up to six. 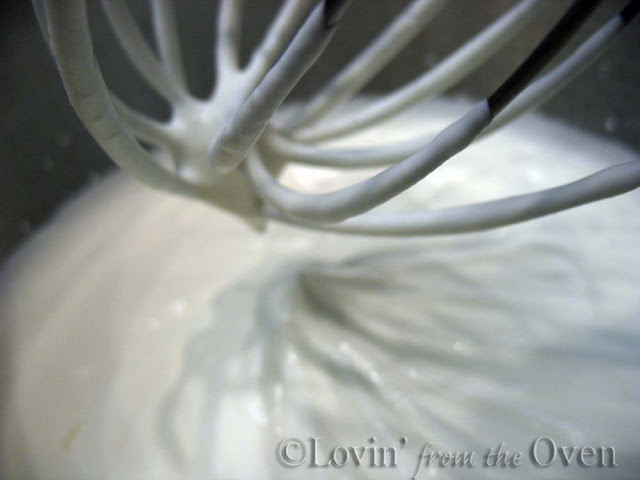 After a few minutes, you will have stiff peaks, and then a very stiff whipped cream. Every once in a while, take a spatula and scrape down the sides. You will notice that the cream is turning a yellow color and is beginning to separate from the milk. 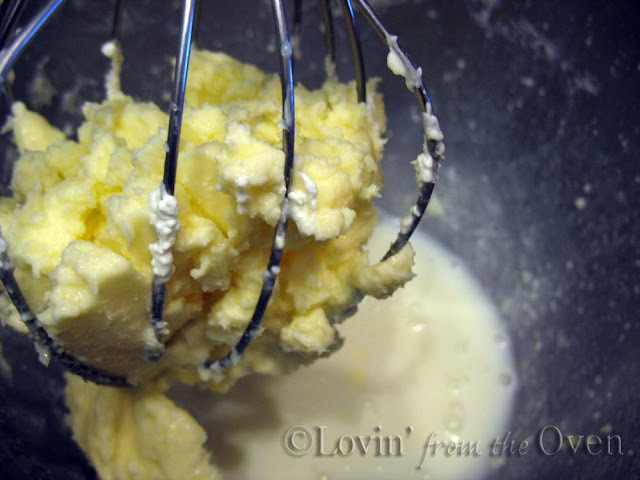 After a couple of more minutes, the butter will become creamier and ball up inside the whisk. Scrape the butter off the whisk into the bowl. Dump the entire contents of the bowl into a fine mesh strainer. 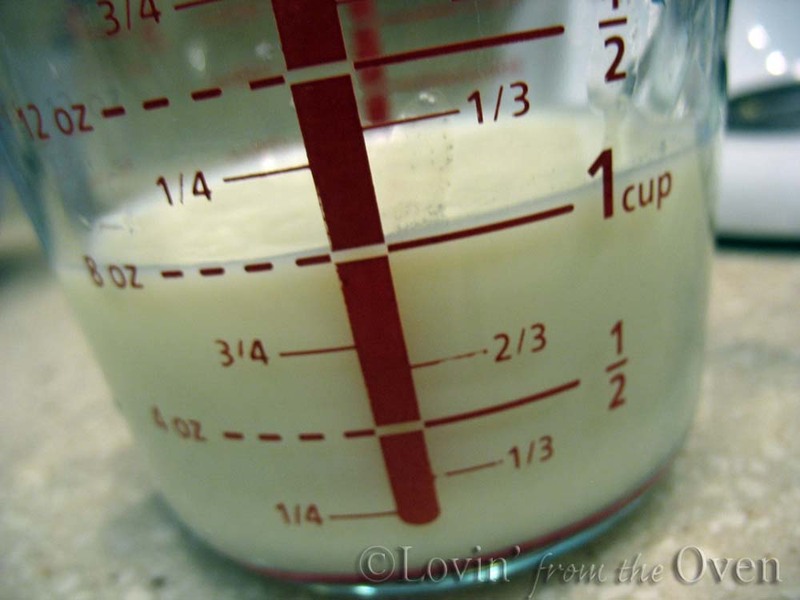 Using a spatula, stir and press as much of the milk out as you can. Don't throw this milk away...it's buttermilk! This recipe yields approximately 1 cup of glorious buttermilk. There are a TON of uses for buttermilk. I like to use it in bread and waffles. What's your favorite way to use buttermilk? 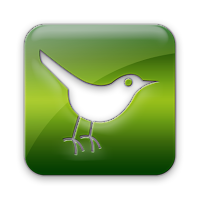 O.k., we are almost done. Here's the part where YOU come in. Rinse the butter under cold water with your hands and knead out all of the milk. I preferred to use a spatula and press it against the sides of my strainer. This is a good time to salt your butter, if you prefer. Or put in some fresh herbs...yum. Pack the butter tightly into an 8 oz. jelly jar. Use a table knife to get rid of any air that may be trapped in the jar. This is 1 cup of creamy butter...2 sticks....or a half a pound. *Pour cold water on top of the butter, put a lid and ring on it, and it will keep your butter soft at room temperature for a couple of weeks (if you have all the milk rinsed out). This creates an airtight seal, keeping your butter fresh. Pour off the water and add cold water every 2-3 days, or each time while you are using it. 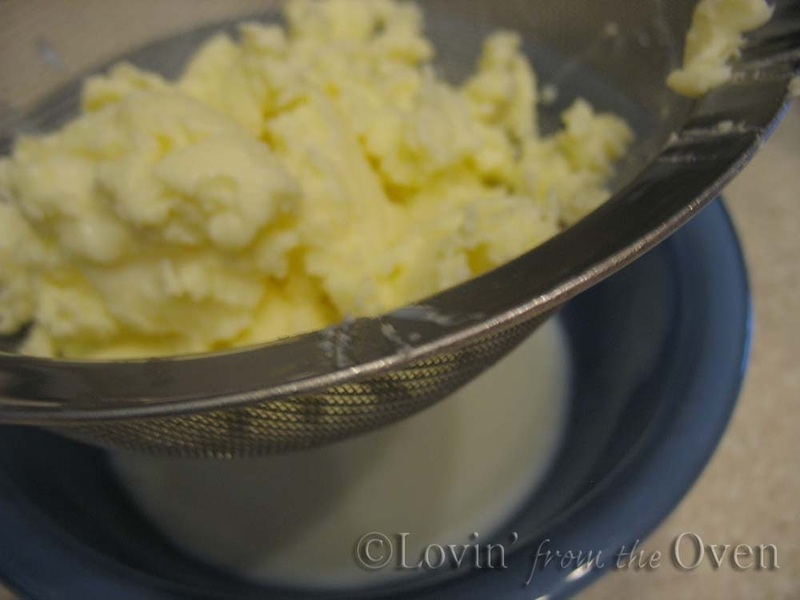 Alanaclaire uses her Kitchen Aid and the paddle attachment and cut out some butter "hearts"
Pour cold cream into bowl of mixer. Using a flat beater (or whisk) attachment, begin mixing on speed 2, gradually increasing to speed 6. 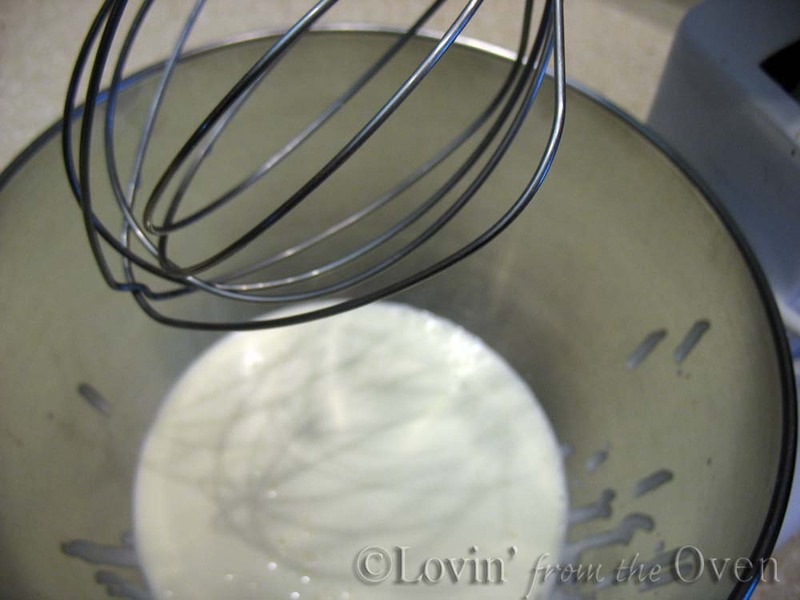 Cream will begin to coat the whisk, and thicken. Soft peaks, then firm peaks will form. Cream will begin to separate from the milk, forming buttermilk. At this point, begin reducing the speed to avoid buttermilk splashing out of the bowl. When butter is formed, drain over a sieve, reserving the buttermilk for another use. 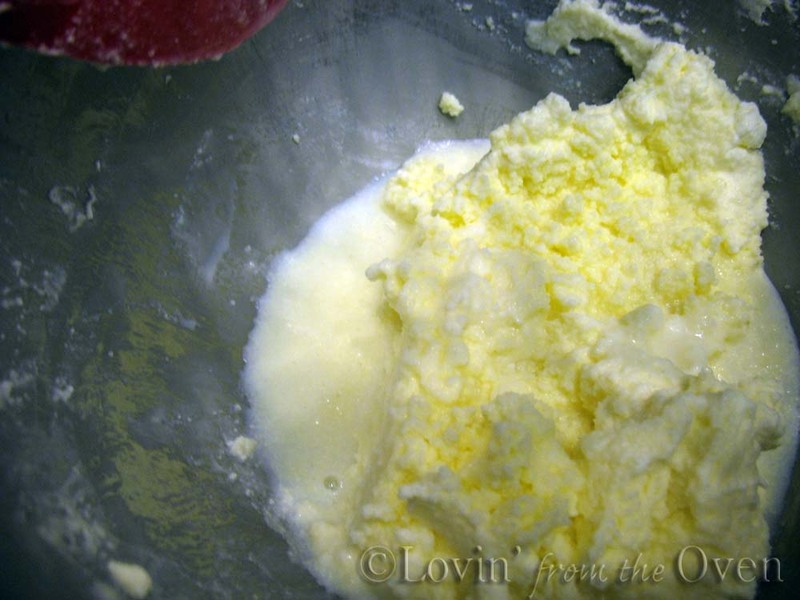 Press butter with spatula to remove additional milk. 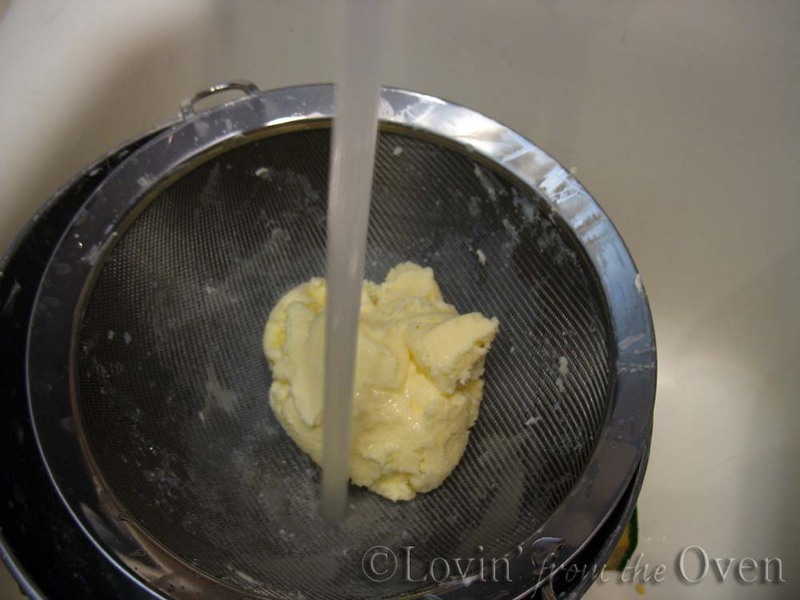 Rinse butter in cold water to remove all traces of milk. Pack tightly into jelly jar and put cold water on top. Putting cold water on top of fresh butter acts like a butter bell, keeping the butter soft and fresh at room temperature. Change the water every 2-3 days to ensure the butter stays fresh. Butter will stay fresh as long as you have pressed ALL the butter out during rinsing. too stinkin' cool! 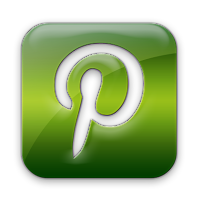 i'll have to try this! Yes, Katie, it is WAY cool! 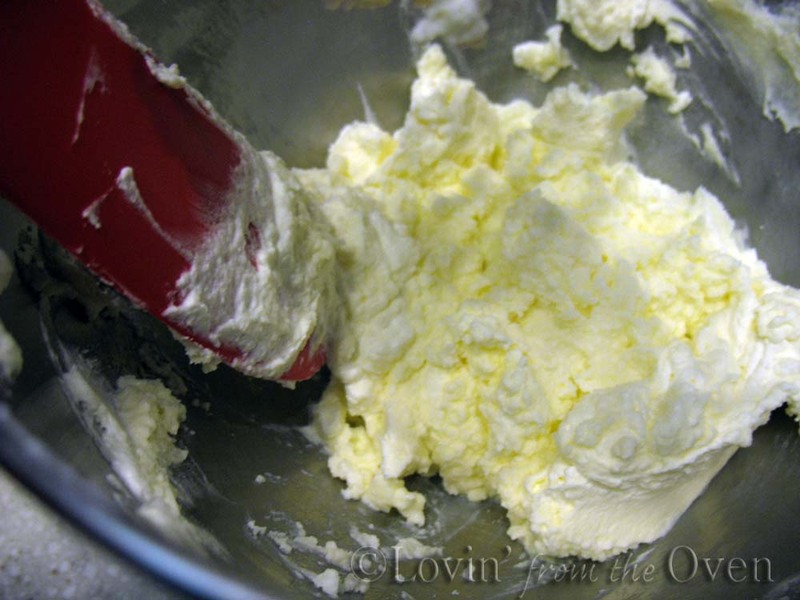 I love having butter on hand for all my baking!